You need to either make a bechamel base or a roux. I use a whole stick of butter fyi…melted down then add flour till it lightly thickens up. Next add one of those small containers of heavy whipping cream. As the sauce gets harder just had 1% milk. 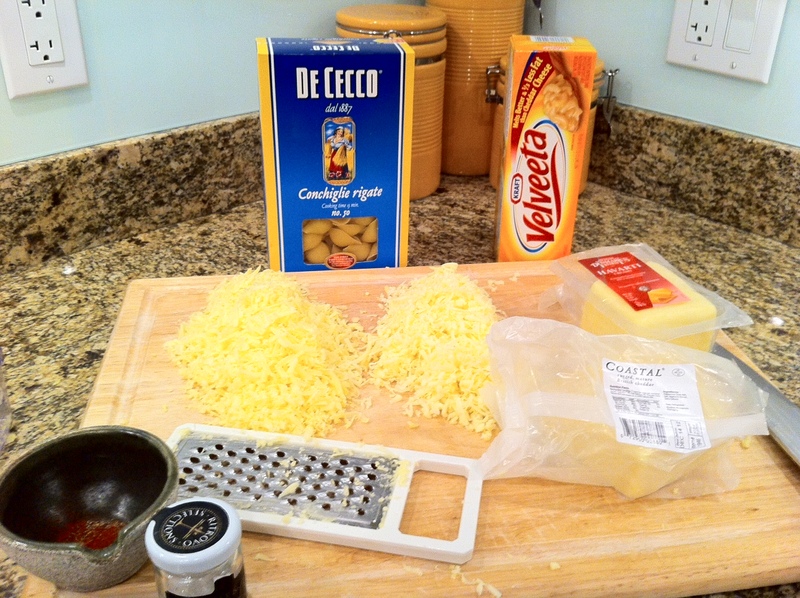 Now, slowly add the cheese while stirring constantly. Add milk as necessary. Let the consistency be your guide. Shells work best. Boil in a separate pot. 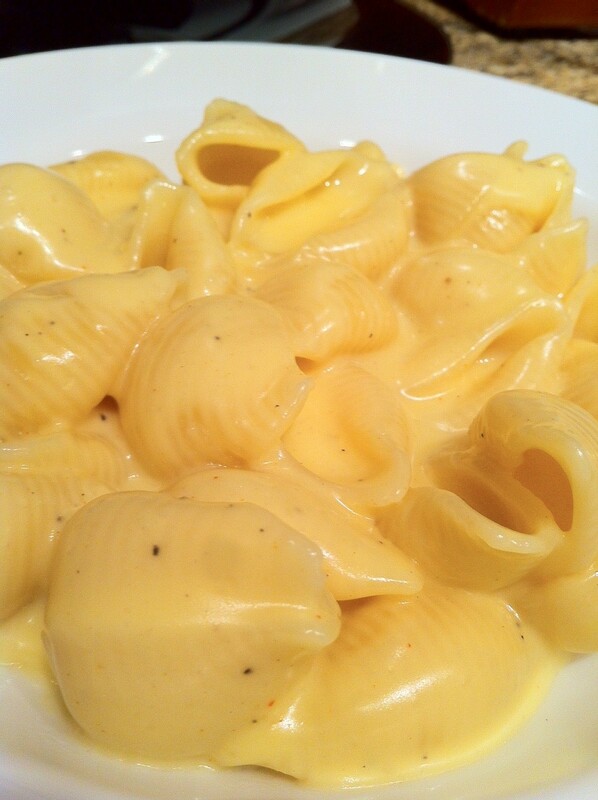 While they are still slightly under cooked drain the water and pour the cheese sauce in. Mix around for about 1 to 2 minutes. I think I am going to try a Paleo diet for the next couple weeks. Congrats! That’s exciting you were able to find a recipe you like! I always love the sense of accomplishment after a successful recipe that is just as you imagined. I actually made some mac ‘n’ cheese the other day and it made me think of your quest. The recipe was the baked kind and didn’t use velveeta (not a fan of that), but it was the best I had ever made. It’s all about velveeta 😉 love ur site!